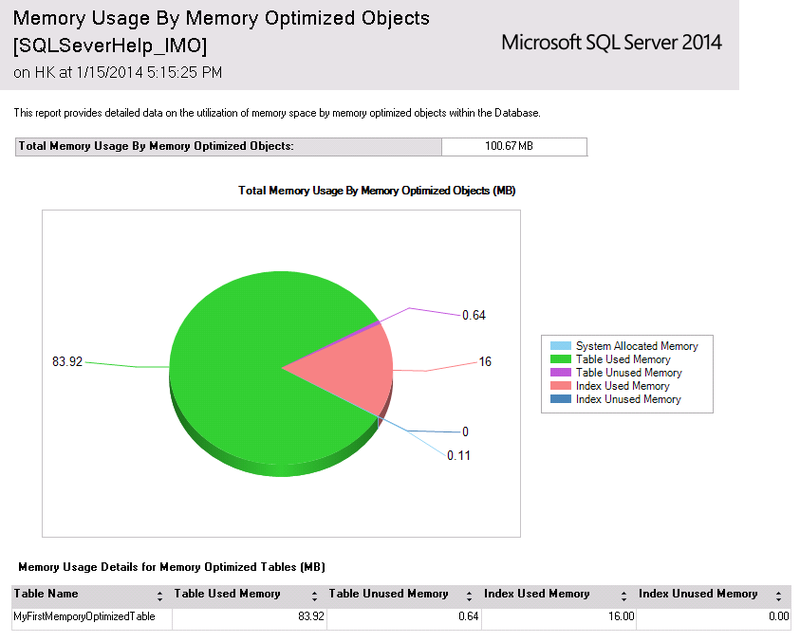 In SQL Server, how do you normally monitor space used by a table? Generally we use sp_spaceused and provide table name which gives good amount of details. 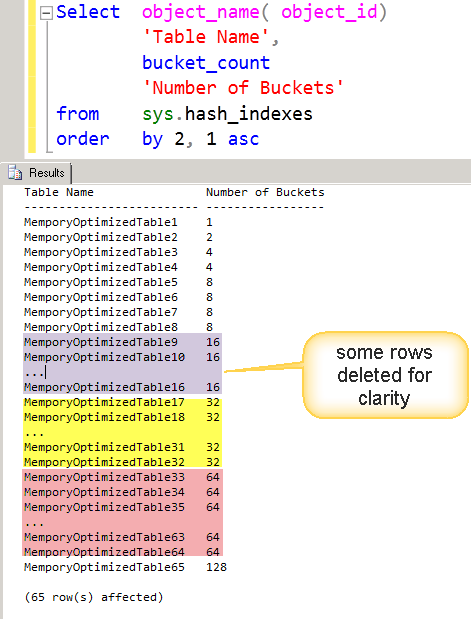 But interestingly enough, the store procedure would NOT work for in-memory tables as shown below. Our table MyFirstMemporyOptimizedTable has good amount of rows and can’t be using zero space as reported by sp_spaceused. In order to get the memory used by in-memory tables, we need to use another DMV called dm_db_xtp_table_memory_stats. Now, how do I write a query? I generally look for the UI interface or standard report which gives me the data and then use profiler to find the nicely formatted query. I was able to find a standard report for memory usage of in-memory tables called “Memory Usage By Memory Optimized Objects” as shown below. If we look at report, we would get exactly same output but in more “presentable” format as below. 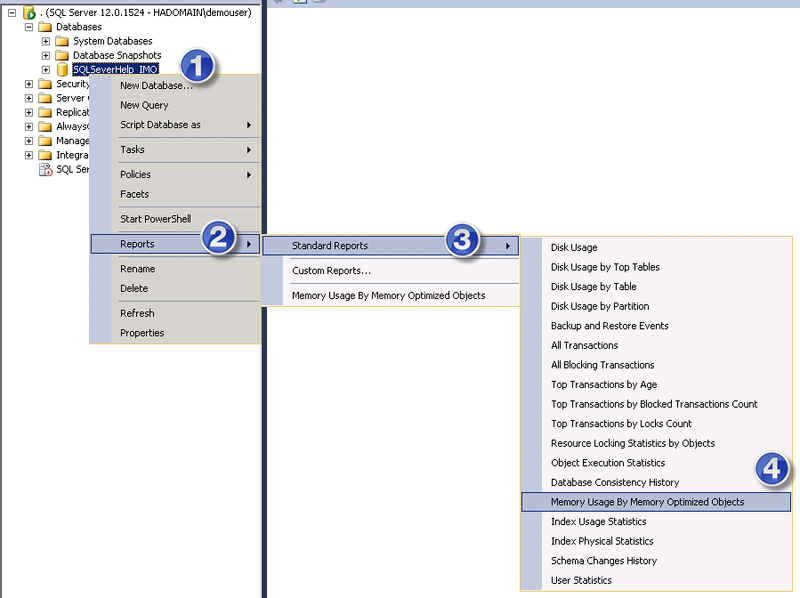 If we look at the bottom area of report, it’s the output of earlier query. If you find other ways to monitor the memory usage, write it in comment section and share with the world.